Although it is the name of the country that I'm writing this from, this post is actually about the beloved chile pepper. I am currently finalizing my motorcycle acquisition here in Punta Arenas before I make the long haul back north en route to Peru, but I wanted to take another chance to shine the spotlight on someone else who I think is doing some pretty neat things. When I tell folks about the food I grew up eating, many don't believe me. I suppose I can't blame them for thinking it odd that a blond-haired, blue-eyed kid named Josh would say that, to him, "mama's home cookin" means chiles rellenos or red enchiladas. Nor can I blame the servers at Thai restaurants for giving me a doubting look when I order the extra hot curry. Nevertheless, I was raised this way. My aunt just did a short interview about New Mexican food and spicy things in general which is a good primer for anyone wanting to make real New Mexican food. You can visit her company's page for recipes "just like mama used to make." You can also order some chile sauce from her, or--if you're wanting to earn your "100% New Mexican" badge--you can order chile directly from my family's farm in Hatch Valley at hatch-green-chile.com. 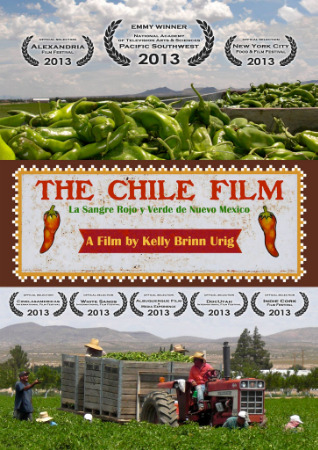 If that's not enough chile for you, my cousin Kelly directed an award-winning documentary about chile production and what it means to New Mexico. It has been featured in several film festivals and appeared on PBS stations around the country. In case you couldn't tell, I'm really proud of my family. Got a stat you want to see here? Become an official Mantra of Miles Sponsor for as little as $1. More information is available on the SUPPORT page.